Most companies incorporated in Singapore and branches of foreign companies are required to prepare their financial accounts annually in accordance with the Singapore Financial Reporting Standards (“SFRS”). Moreover, Since 2011, ACRA has established the Financial Reporting Surveillance Programme (“FRSP”), where a selected pool of financial statements are reviewed to determine if they comply with the SFRS and give a true and fair view of the company’s profit and loss, as well as the state of affairs of the company. As Singapore moves towards adopting the International Financial Reporting Standards (“IFRS”) adopted by countries such as Australia, Canada and the European Union, it is highly recommended that all companies in the city-state seek professional services and advice from professionally accredited accountants registered with the Institute of Singapore Chartered Accountants (“ISCA”). This ensures all SFRS provisions are adhered to. It records an entity’s assets, liabilities, equity, income and expenses including gains and losses, contributions by and distributions to owners in their capacity as owners, as well as cash flow. An entity may present a single statement of profit or loss and other comprehensive income, with profit or loss and other comprehensive income presented in two sections. Many entities present, outside the financial statements, a financial review by management that describes and explains the main features of the entity’s financial performance and financial position, and the principal uncertainties it faces. Many entities also present, outside the financial statements, reports and statements such as environmental reports and value added statements. This is especially the case in industries where environmental factors are significant and when employees are regarded as an important user group. Find out how you can benefit from our accounting and bookkeeping services. An entity shall present separately each material class of similar items. An entity shall present separately items of a dissimilar nature or function unless they are immaterial. An entity shall not offset assets and liabilities or income and expenses, unless required or permitted by a FRS. An entity shall recognise all items of income and expense in a period in profit or loss unless a FRS requires or permits otherwise. Except when FRSs permit or require otherwise, an entity shall present comparative information in respect of the preceding period for all amounts reported in the current period’s financial statements. An entity shall include comparative information for narrative and descriptive information if it is relevant to understanding the current period’s financial statements. In general, most companies are required to submit an Independent Auditor’s as well as Director’s Report as part of their annual filing requirements. Both reports are part of a system of checks and balances to ensure sound financial practices, and in turn, enhance investors’ confidence and uphold shareholders’ interest. This is must be done in accordance with the Financial Reporting Standards (FRSs) and general accounting practice. Companies are legally obliged to include a Director’s Report in their annual financial statement under sections 201(2) and 201(5) of the Companies Act. The statements must give a true and fair view of the state of affairs of the Company and of the profit or loss of the Company for that period. 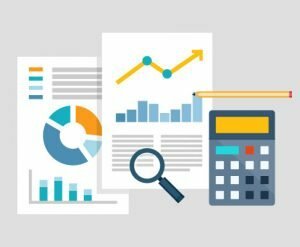 It is very important that the above reports are prepared by applying suitable accounting policies in accordance with FRSs, as well as provide additional disclosures to enable a clear understanding of transactions, other events and conditions on the company’s financial position and financial performance. Let us guide you with preparing annual financial statements in Singapore, including the auditor's and director's reports.